Last night Slagle Design collected FIVE trophies at CSCA’s annual Creative Best awards. 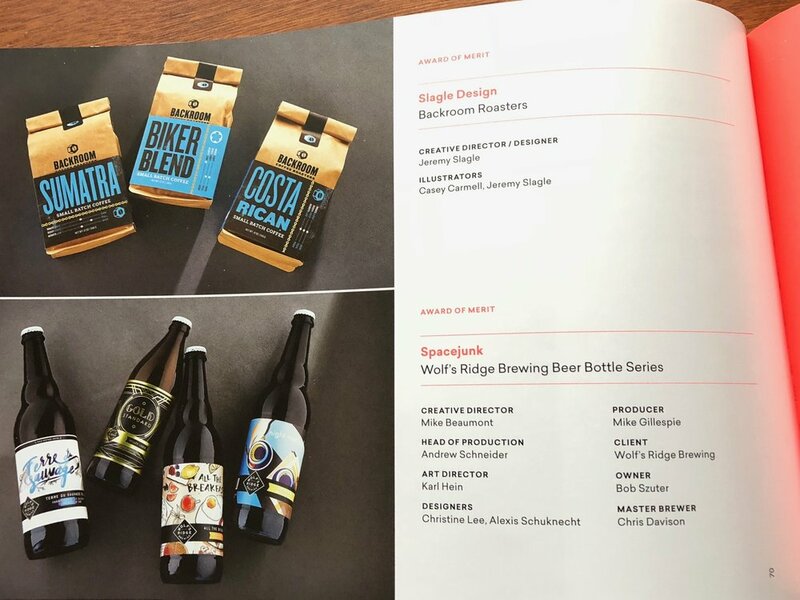 Four judges from around the country chose our work as some of the best in Central Ohio in the categories of Identity, Packaging and Print. The event was one of the best in years — great attendance from the creative community and very well promoted and planned. The evening went off without a hitch. Thanks to this year's co-presidents, volunteers and Creative Best planners for their hard work and dedication to the Columbus creative community. Slagle Design is proud to be a part of the Columbus creative scene and organizations like CSCA are at the forefront of keeping us so tightly connected. Looking forward to what next year brings!